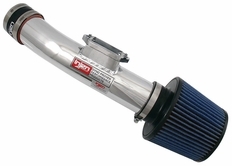 1997-2001 Toyota Camry, 1998-2003 Solara V6 Injen Short Ram Intake5MattAugust 22, 2009This intake exceeds my standards on what an intake should do and what it should sound like. This intake sounds absolutely amazing when you accelerate. In addition it does give me better gas milage. Overall this is an excellent product!!!!!! The Part number for this item is: IS2030 and it fits 1997-2001 Toyota Camry , 1998-2003 Toyota Solara V6 Models.